The outlook for the rest of August calls for slightly above normal temperatures (about 1-2F). Rainfall will likely average 2-4 inches with normal being near 3 inches inches. 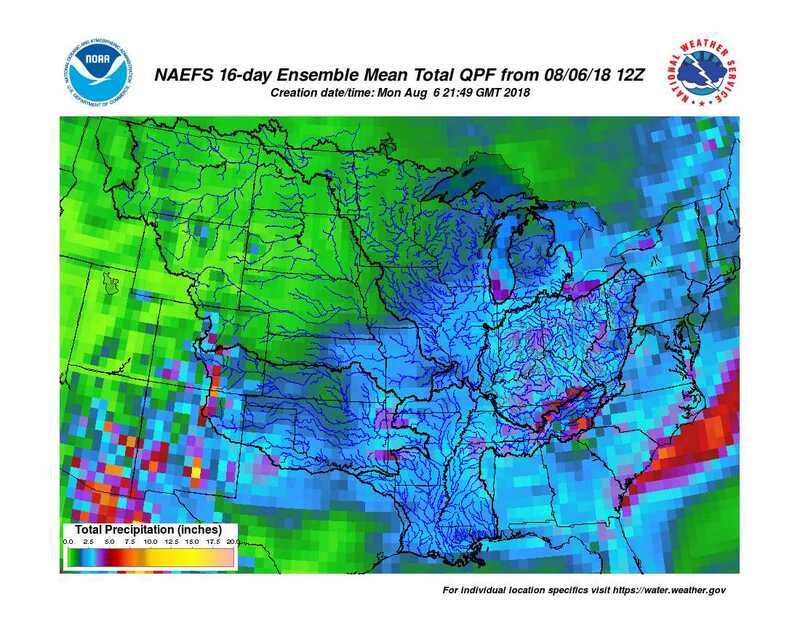 Isolated totals could reach 5 inches through the end of August. Going into harvest season things have been changing. Current climate models are continue the trends of temperatures 1-3F above normal through November. However, trends are also gradually wetting up in fall. Rainfall goes from near normal in September to above normal by October into November. We will continue to monitor this trend but early harvest conditions look pretty good but later harvest conditions look more questionable.